The plan recognises the importance of dementia friendly communities, working with Community Planning, Health and Social Care and the Third Sector. And we’re sure they mean to include the Community as well. First reactions were that there are no people and no communities in the strategy. It is very medical and there is no social care. People asked where dementia fits in the medical ‘system’. There were lots of questions about the strategy and concerns that the specialist units and centralisation of services would create ghettos. People felt it was very important that the strategy includes everyone. It is important to join this up with other strategies and services (eg Local Development Plan, Transport, parking), and the impact of new housing on services and daily life. The strategy should include support groups specifically for people caring for people with dementia and support for family members – dementia affects everyone. Inter-generational working and starting to talk about dementia with young people was important. There were concerns whether a ‘golden thread’ is strong enough to deliver an effective dementia strategy. Or is a thread the right way to make sure that dementia is addressed across the strategy. 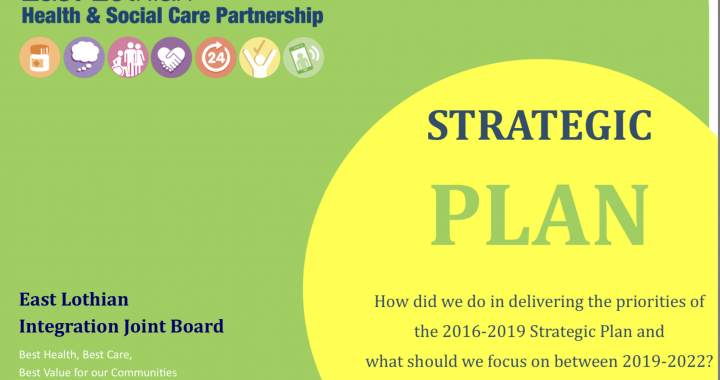 People wanted to be involved in developing the strategy, they felt their experience could help improve services and find better solutions. People have experiences and ideas to share that they feel can help to make a real difference. Transport must be integrated into discussions, it is essential to maintaining daily life and accessing general and dementia services. This includes providing clear advice and practical support round driving and dementia and accessible bus services. People want transport that gives them choices to travel in and out of town. Transport is essential to key services like hospitals (Haddington, ERI, Western and St Johns). There are projects that help eg RVS. There were concerns that centralising services places greater reliance on transport and can make it harder to keep people connected to their families and communities. People don’t want to travel to Mid Lothian. People were critical of primary care – short appointments, having to see a different GP every time and having to repeatedly go through painful stories. There were often problems accessing specialists. What would help would be to have a ‘named person’ to provide consistency and a way to flag up people living with dementia (as carers or people with dementia) as a priority. Whilst people were very positive and appreciative about the support they have had from the PDS staff, there were criticisms of the way the system works. People were unsure if they were accessing their rights to PDS; some Carers felt that the service was primarily focussed to the person with dementia and their role and needs were not being fully met. There were also many criticisms that people felt PDS did not support them when they most needed it. People spoke very positively about the support and help available, including the Dunbar Carers Support Group, Tea Dances, Ageing Well, Day Centres, Sporting Memories, Carers of East Lothian, Alzheimer’s Scotland and of course DFEL. Personal support and advice, friendship, being able to get out and about all helped make life with dementia better. What do we want to happen next? We talked about Meeting Centres and whether they can fill a gap in support for people who live with dementia. There was a strong message that we must join up and use our resources more effectively and identify the gaps and spare capacity in the community. We need to be creative in how we do things for example there was great support from Business for the Carers event last year. If we are going to develop Meeting Centres, we should focus on one area to begin with to test the water and develop up phased approach, get people involved. We would like the capacity to train the trainers in East Lothian so we can build our own capacity. The Planning Group – must include people with dementia and Carers and we would like to visit Meeting Centres. It’s good to bring people together and talk in communities, so we will continue conversations in communities and Gatherings. We will take our initial thoughts to members of the Health and Social Care Partnership tomorrow. On Day 2 we met with Members of the Health and Social Care Partnership – Trish Leddy, Group Manager, Carers Strategy; Nicola Cochrane, Service Manager Adult & Older Adult Mental Health, Psychological Therapies and Substance Misuse; and Andrew Tweedy, Carers of East Lothian. We talked about Day 1, our views about the strategy and what we thought should happen next. People living with dementia (people with dementia and care-partners) and communities want to be involved in the Strategy and making it work for everyone. We would like to set up a planning group to look at dementia, gaps and how we might fill them, including how we might benefit from the Meeting Support Programme. Carers would like to run another Carers Event and take forward the work they began last year. Sue reported on feedback from discussions led by Friendship Groups in Dunbar, Haddington, North Berwick, Cockenzie and Musselburgh. They mirrored discussions yesterday. The big message is we must join up services and support and focus on supporting people as and when they need it. That includes PDS. transport – protecting important local services, understanding just how important transport is, getting information about driving and rights. There were some very tough stories about experiences of acute care, lack of support for people in severe circumstances and struggling with multiple disabilities and serious illness. These must be addressed. Groups have offered their support to work with H&SCP on issues. Shirley Evans from the Meeting Centres Support Programme & Graham Galloway from Kirrie Connections talked about Meeting Centres and how they work in practice. Every place is different and Centres are flexible and adaptable. 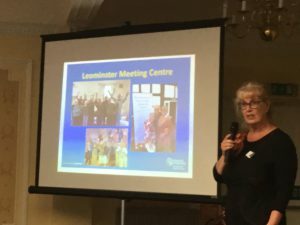 Meeting Centres are social clubs for people with dementia and care-partners, families and friends. 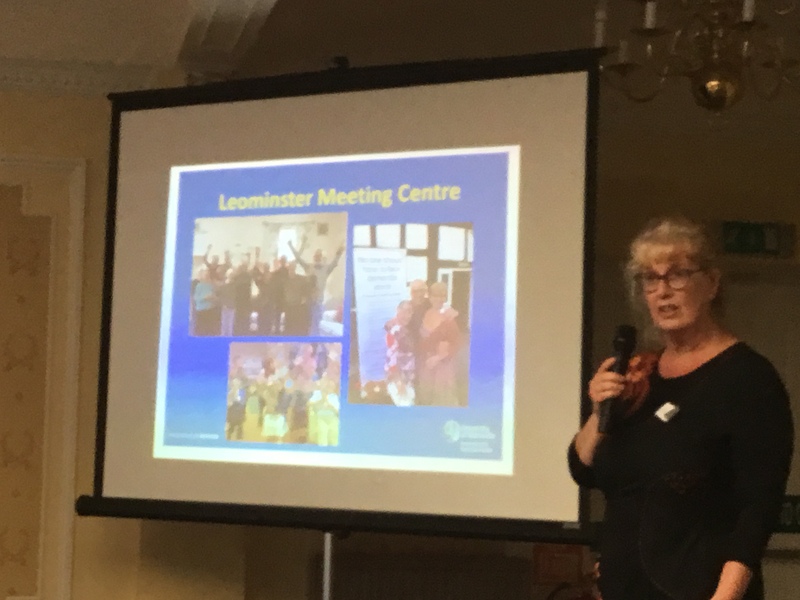 Centres help people cope with the challenges of living with dementia – coping with disabilities, keeping on an even keel emotionally, maintaining a positive self image, preparing for an uncertain future and building strong (and new) social networks and friends. Centres also help people manage the relationship with care and treatment and the developing relationship with care professionals. Centres are local, accessible, all about ‘us’ not ‘us and them’. Meeting Centres run in normal, every day community settings and are flexible and can be applied in different settings and context. 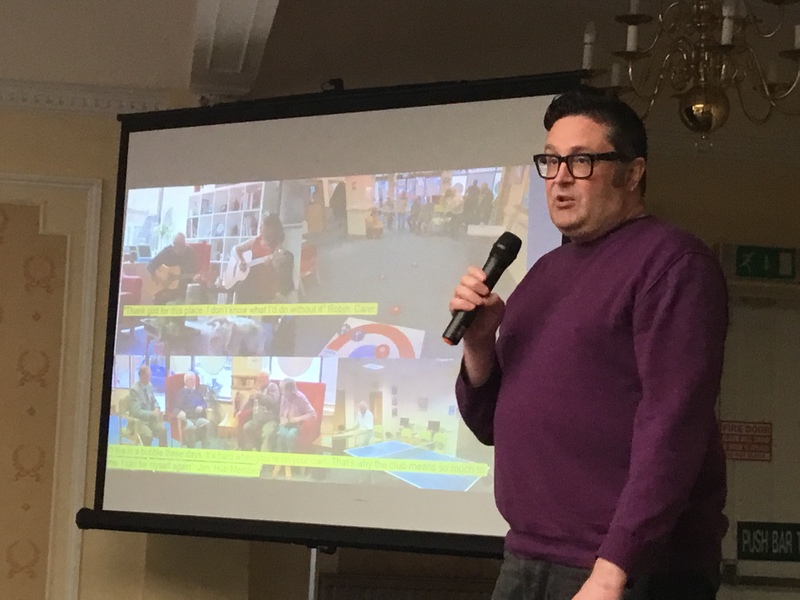 There are overlaps with what’s provided by Day Centres, Friendship Groups, Support Groups and so a Meeting Centre is only developed if there is a gap to be filled. Meeting Centres are based on psychological evidence, theory and research on how people with dementia and care-partners adapt to and cope with dementia. The model enhances Dementia Friendly Communities by building relationships, understanding and challenging stigma. 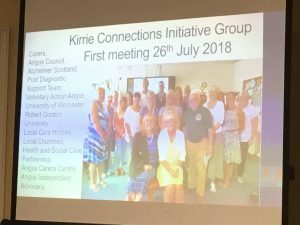 Kirrie Connections is a community hub that is setting up a Meeting Centre. They started by setting up an Initiative Group, bringing together Carers, the Council, PDS, Universities, care homes, churches, the carers centre, advocacy and third sector. This group developed the proposal for the Meeting Centre which opens soon. The community links have enabled them to support wider change in the community, for example accessible streets. 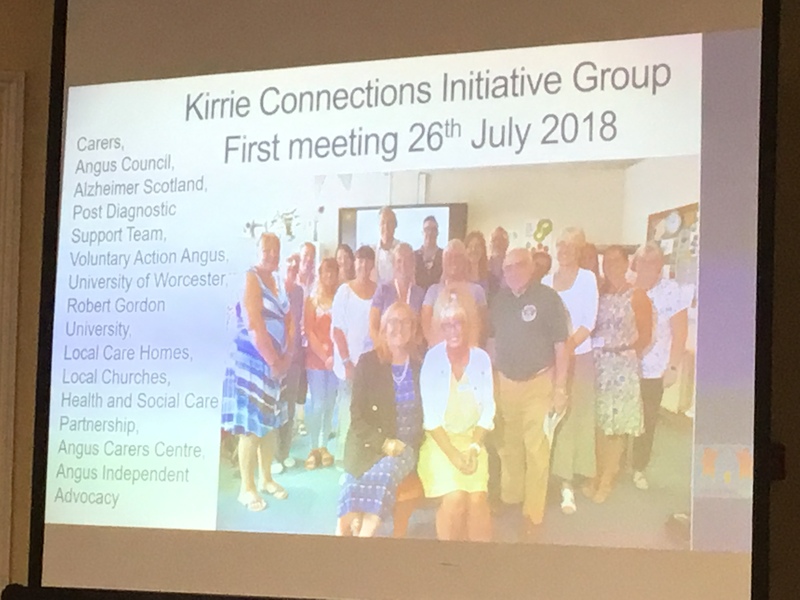 Kirrie Connections has wide and deep community connections and this enables it to support a wide range of initiatives that support and include people who live with dementia. Including a D-cafe, sporting memories etc and a community garden. Local care home residents also come along to be part of the community. They are also partners in larger community projects. People really value the support of services they get already, eg CoEL, Sporting Memories, Day Centres, Dunbar Carers Support Group. Late diagnosis is a major issue in East Lothian – do we need Meeting Centres with such low levels? We need to identify where a Meeting Centre would fill a gap and enhance what’s available? 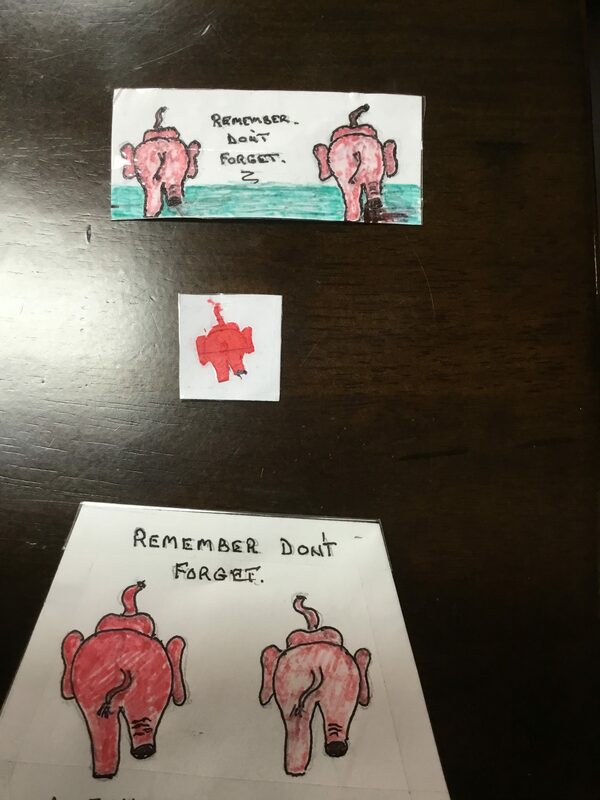 Prevention? Support timely diagnosis? Friendship Groups are social groups in community settings but only run monthly and were set up to enable people to stay in touch after the Memory Rehabilitation Course as part of Post Diagnostic Support. They are run by people who live with dementia, with facilitation. We must link to the wider context – local development plans, transport, housing. ← Looking ahead to 2019….